High power Hellcat HPE1000 after Hennessey Performance tuning - Drive Dodge - Drive Sport! 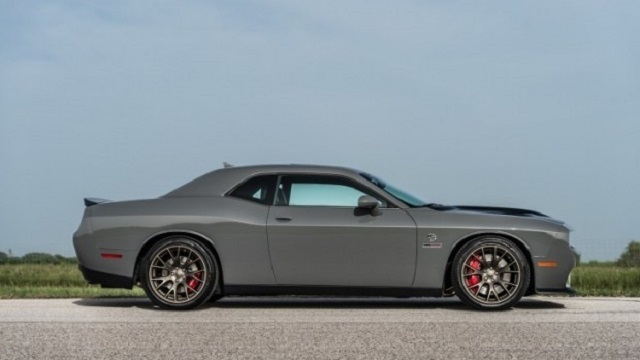 The standard version of the modernized muscle car under Hennessey Hellcat HPE1000 name is equipped by a 6.2 liter engine that can deliver 707 horses and 880 Nm of torque. 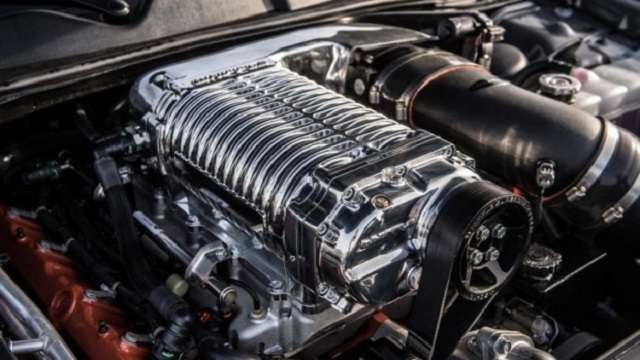 In addition to the basic plant, the engineers added 4.5-liter supercharged motor, as well as a fuel pump, stainless steel exhaust, new throttle, zero resistance filter, catalyst and flash to improve the motor’s power up to 1012 horsepower and 1 313 Nanometers. It has been revealed from the American company representatives, the updated Dodge Challenger Hellcat model cannot transfer the whole power and torque to the wheels. The transmission losses influence the output that is reduced in this case to 863-hp. Dodge manufacturer informs that the new coupe gets the first 100 km/h in 2.8 seconds. The novelty also moves a quarter mile in 9.9 seconds at 227 km/h top speed.